If you are like most Americans and consume way more than the recommended limit of 2,300 milligrams of sodium per day, increasing your potassium consumption could help you keep your blood pressure under control. Potassium also helps with nerve and muscle function and digestion. 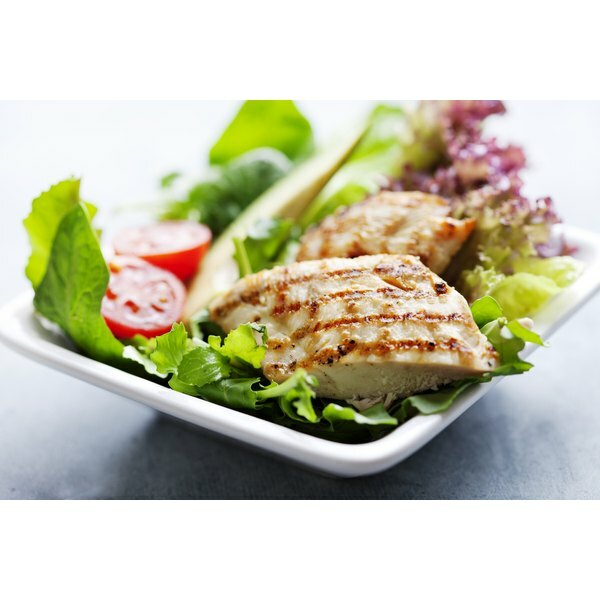 Chicken breasts contain a moderate amount of potassium. Adults should aim to consume at least 4,700 milligrams of potassium per day. Depending on how it is prepared, 3 ounces of skinless, boneless chicken breast provides between 241 milligrams and 357 milligrams of potassium. This is 5 percent to 8 percent of your daily potassium requirement. While a chicken breast can help get you closer to your goal, eating more of the foods that are higher in potassium -- such as tuna, salmon, bananas, yogurt, cooked greens, potatoes, sweet potatoes and winter squash -- will make reaching your daily potassium goal a little easier.